The following comes from LDS Living. To see the full article, click here. If you are like me, you weren’t betting on BYU beating the No.1 team in the nation in basketball. Personally, I was way more excited for the Oscars this weekend. That was a mistake. 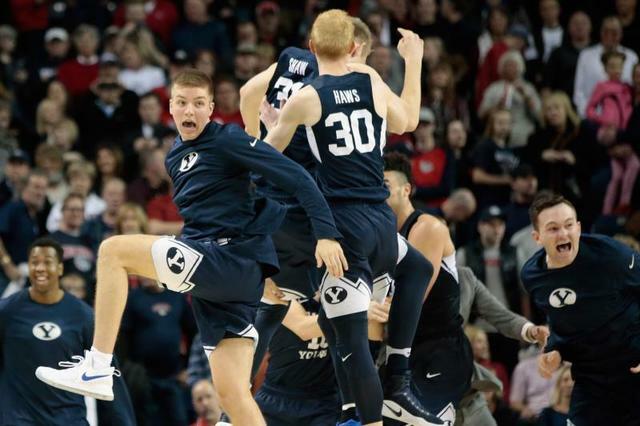 As it turns out, BYU made college basketball history by upsetting Gonzaga’s perfect season. But I wasn’t the only one who underestimated BYU. The Spokesman-Review, Gonzaga’s hometown newspaper, was so confident in their team’s victory they preemptively printed 6,000 copies of a special edition showcasing Gonzaga’s victory, according to the Deseret News. And, unfortunately, a picture of the cover page was leaked on Twitter, a mistake eerily similar to the upcoming Oscar mix up with Moonlight and La La Land.